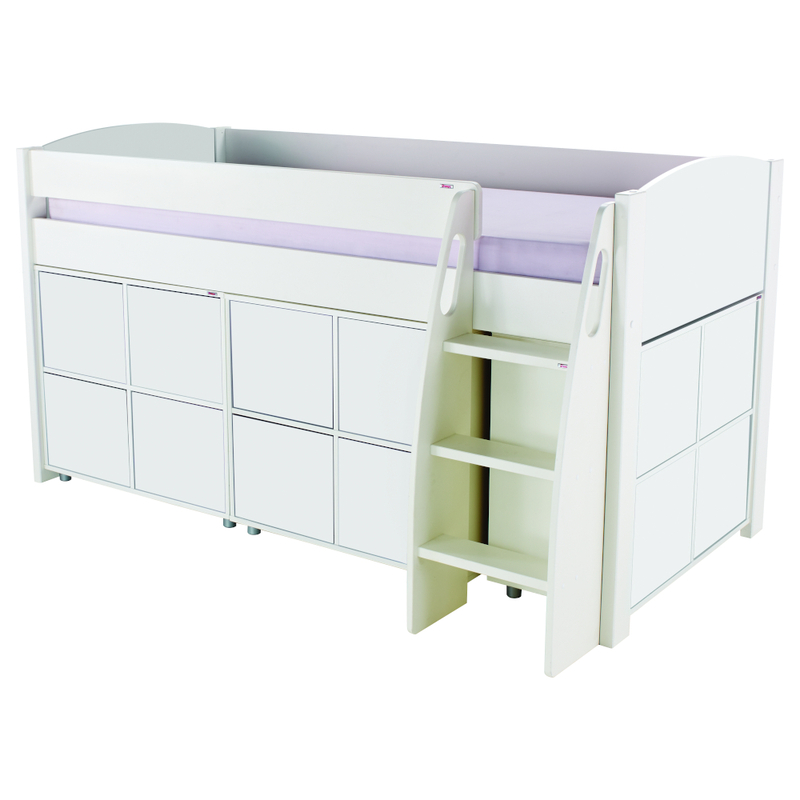 This Midsleeper combination incorporates a new feature rounded headboards and 3 Cube Units with 4 doors in each. The Cube Units are produced in hardwearing MDF. 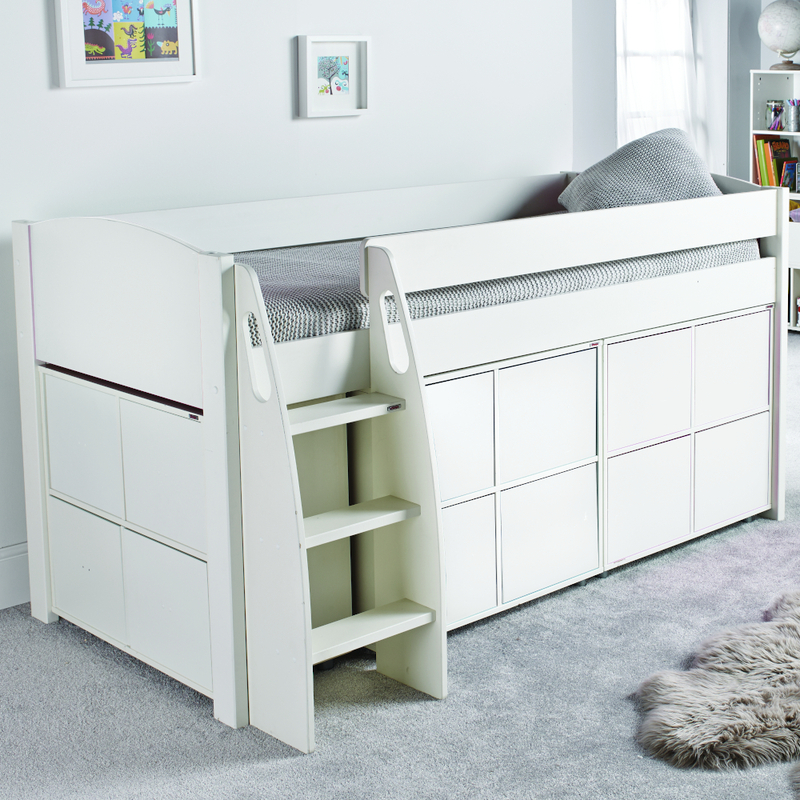 A great bed with plenty of storage cubby holes behind the new sleek lined push-to-open doors. Includes Uno S Midsleeper and 3 Cube Units with white doors. Size of Cube Units H719xW799xD399mm. Includes 4 white sleek lined push-to-open doors in each cube.